Wow. Just wow. 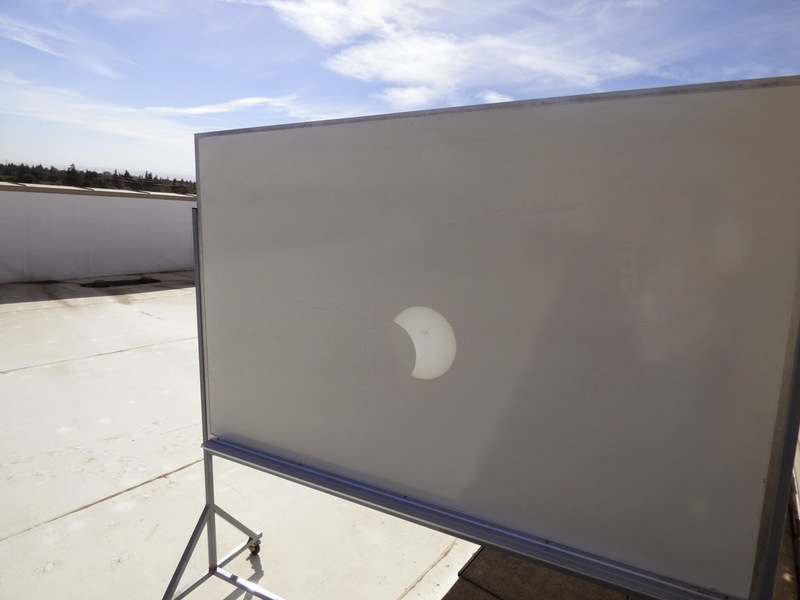 Yes there was a partial solar eclipse today that was visible across much of the country, and yes, it was pretty spectacular. But what caught my attention was the huge sunspot. 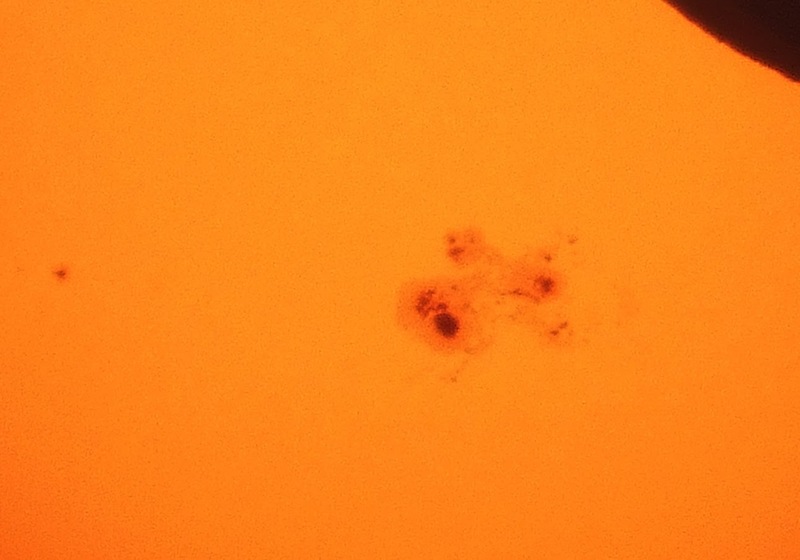 It is the first time I've ever seen a sunspot with the naked eye, and it was incredible in the zoom lens. I'm told that it is more than 90,000 miles across, the width of 12 Earths. Sunspots are essentially gigantic solar storms. They look dark, but they are simply a bit less bright than the rest of the Sun's surface. It was so big that even my camera was able to catch some detail. 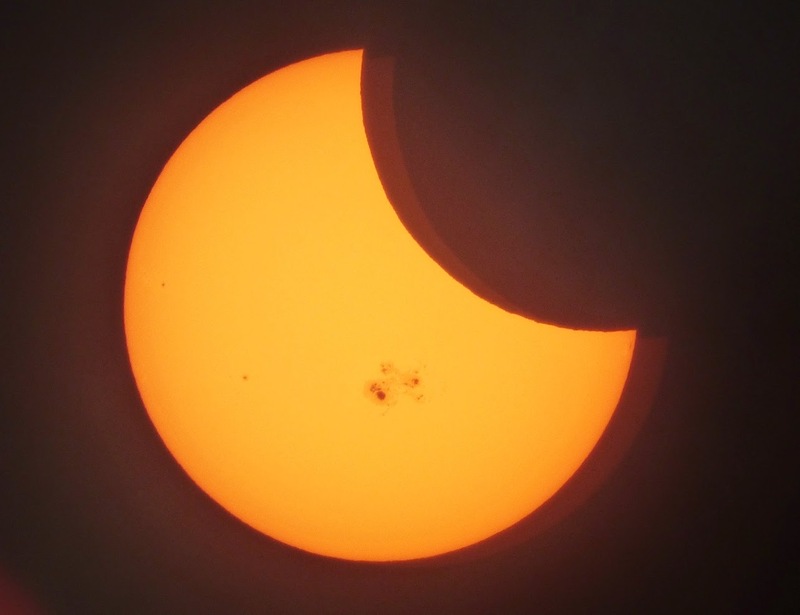 I had my camera on a tripod, and held a solar telescope filter over the end to catch these shots. The zoom was about 60x. 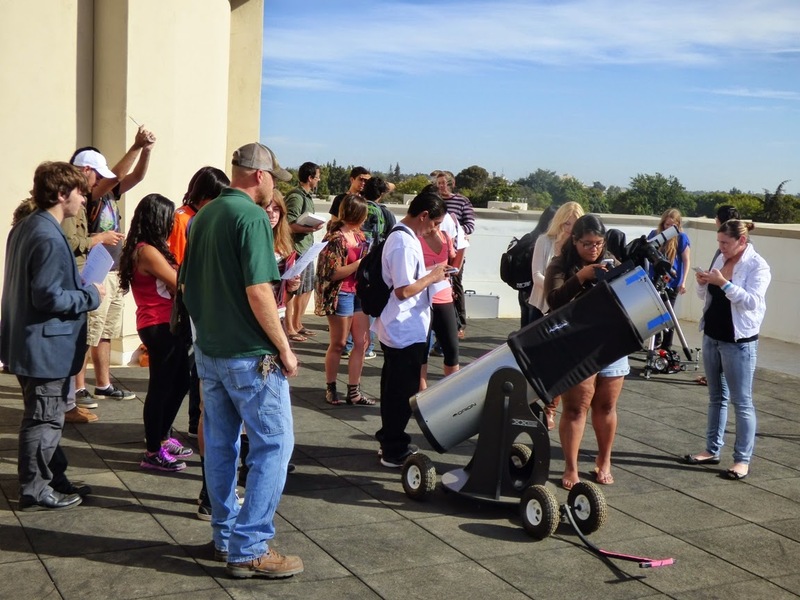 There was a lot of interest on campus, and so our astronomers and Astronomy Club had a number of scopes set out on the roof of the new Science Community Center. I wish I could have photographed one of the views through the most powerful scope. We could see the granules of the Sun's surface, and solar prominences, the arcing jets of plasma shooting out from the surface. Great shots! I was equally amazed to see the sunspot. Telescope would have been nice.